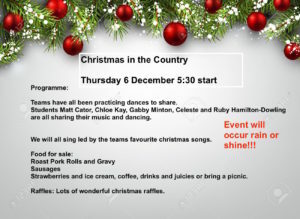 Christmas in the Country will be held on Thursday 6 December starting at 5.30pm. All of the kids have been working hard on their singing and dancing, which they will share with you on the evening. We will be based on the field below the hall and we will be selling roast pork rolls with gravy, sausages in bread, strawberries and chocolate brownies, juices, drinks and some other sweet treats. 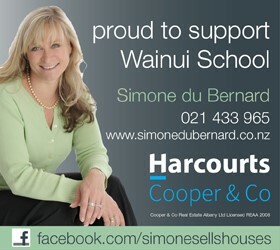 We will also have the Harcourts Coffee and Cone van onsite (thanks to Simone du Bernard from Harcourts Cooper & Co), selling coffee and ice cream cones. The Year 8s have organised our school to take part in the 1000 Can Challenge. They want to collect 1000 cans of non-perishable food to donate to the Salvation Army in Red Beach. The cans will be added to the Christmas food parcels that the Salvation Army provide and distribute to local families in need. At Christmas in the Country, the “entry fee” for the night’s entertainment is a can to be added to the 1000 Can Challenge. There will be decorated recycling bins to stack the cans in on the night. 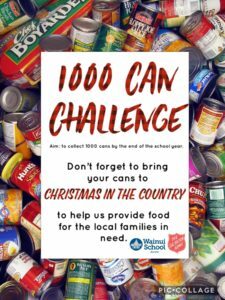 However if you forget your can on the evening you can still bring your can to school and hand it either to a student councillor or drop it into Kauri class. Please also look out for the Year 8s who will be wondering around the event selling raffle tickets. 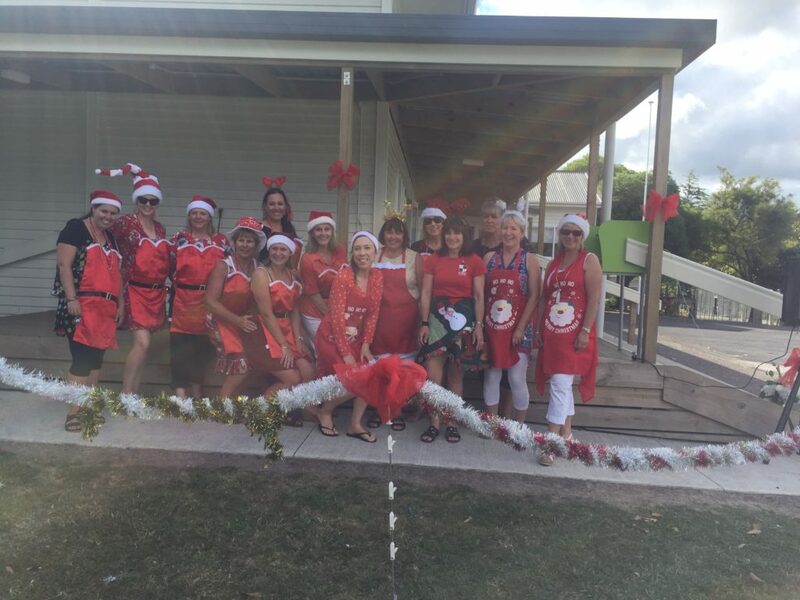 They would like to purchase a new piece of play equipment for the senior playground and all money raised from the raffles will go directly to this. There will also be a donation jar in the coffee and can van, if you would like to make a contribution to this new piece of equipment.